THE NEEDLE ALWAYS POINTS IN THE SAME DIRECTION. And yet it hardly ever looks like the same direction; almost always, sitting there in your hand, this magnet to the pull of the world, it looks like a direction you’ve never taken before. And besides, you don’t have to go there. You don’t have to take the path at which the needle nudges. Knowing it’s there, you can veer off course. Knowing it’s there, you can go anywhere. The needle will still know what it knows. With stories from some of the best writers working today, A Kind of Compass brings us to places and situations we could never otherwise experience. 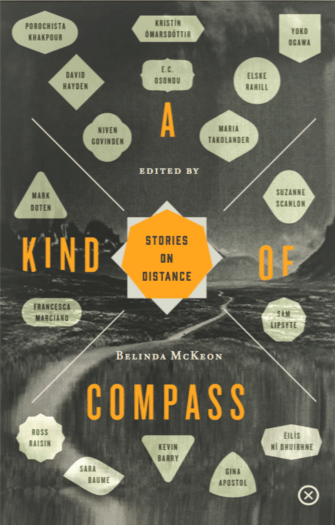 Funny, unnerving, vivid and real, these stories evoke the nature of distance, exploring the many ways in which it is possible to feel far from home. Contributors: Sam Lipsyte, Maria Takolander, Gina Apostol, Sara Baume, Kevin Barry, Mark Doten, David Hayden, Elske Rahill, Ross Raisin, Porochista Khakpour, Francesca Marciano, Niven Govinden, Yoko Ogawa, E.C. Osondu, Kristín Ómarsdóttir, Suzanne Scanlon, and Éilís Ní Dhuibhne. 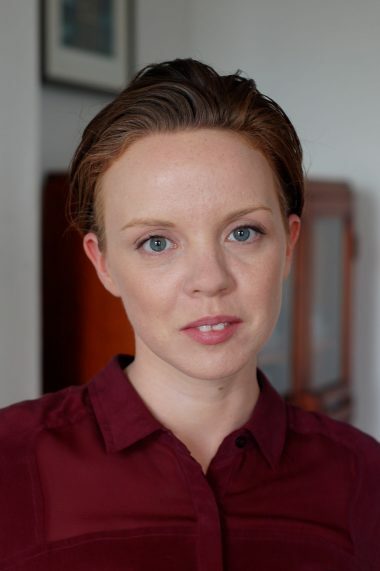 Belinda McKeon is the author of Solace (2011), which won the Geoffrey Faber Prize and was also voted Irish Book of the Year 2011, and Tender (2015). McKeon’s essays and non-fiction have been published in the New York Times, the Guardian, the Paris Review and the Irish Times. Born in Longford, she now lives in Brooklyn and is an Assistant Professor of Creative Writing at Rutgers University.